Windows 10 is the best operating system that's come along from Microsoft in a long time. It's a shape-shifter that changes its interface depending upon whether you're using a traditional computer or a touch-based one. It undoes the damage wrought by Windows 8, including eliminating the awkward Charms bar and bringing back the long-mourned Start menu. 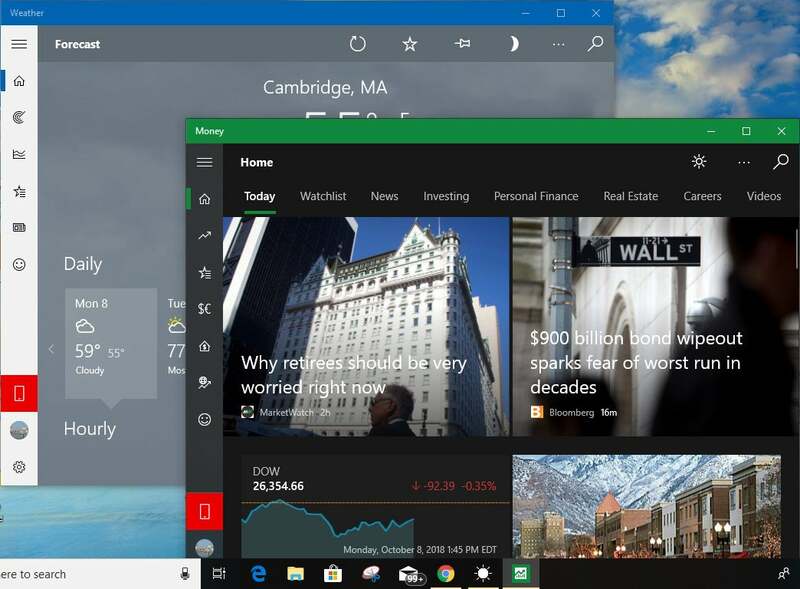 A lot more has changed as well, with a new default browser called Edge, the integration of the Cortana digital assistant, links to Microsoft’s cloud-based OneDrive cloud storage service and plenty more. Share this story: IT pros, we hope you’ll pass this guide on to your users to show them the Windows 10 ropes. Also see our printable PDF of Windows 10 gestures and shortcuts. Whether you've upgraded to Windows 10 from Windows 8 or an earlier version of Windows, or if you've got it on a new PC, this cheat sheet will get you up to speed on it. I'll cover everything you need to know, and I've also provided quick-reference charts listing useful keyboard shortcuts, touchscreen gestures and touchpad gestures. Keep in mind that there have been six major updates to Windows 10 since its initial release in July 2015. This story is based on the Windows 10 October 2018 Update, so the features that are described here and the screenshots you see may differ from what you see on-screen if you have an older version of Windows 10. Note: If you want to get the most out of Windows 10, you'll have to use a Microsoft ID as your user account. Without a Microsoft ID, you won't be able to use a number of Windows 10 apps or sync settings among multiple devices. So when you set up Windows 10 for the first time, sign in with an existing Microsoft ID or create a new one. Before we get started, a few words about some terminology you'll need to know. 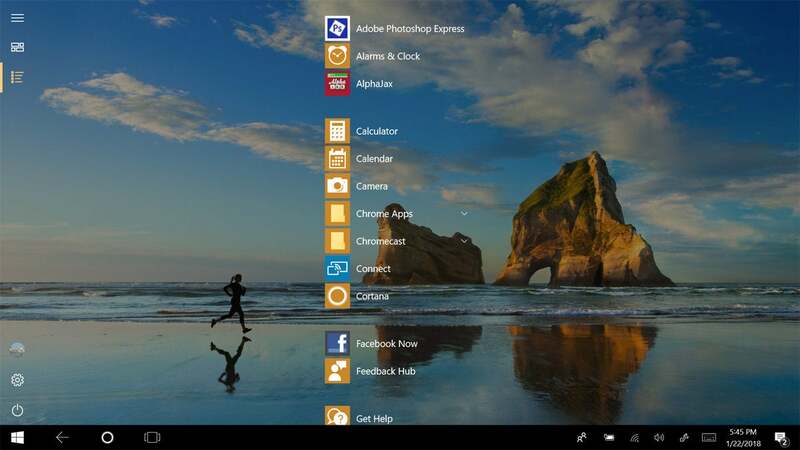 Microsoft has sowed enormous confusion with a set of lightweight apps that were originally designed for the Windows 8 touch-oriented Start screen interface. It first called them Metro apps, and then through the years changed their names to Modern apps, Windows Store apps, and then Universal Windows apps. Now it's settled simply on Windows apps, although at times the company also calls them Universal Windows apps, to get across the point that they will run on all versions of Windows 10, including for mobile phones. In this article, we'll refer to them as Windows apps. What about apps designed for the desktop? Microsoft now calls them Windows desktop applications. In this article we'll call them desktop applications, for simplicity's sake. 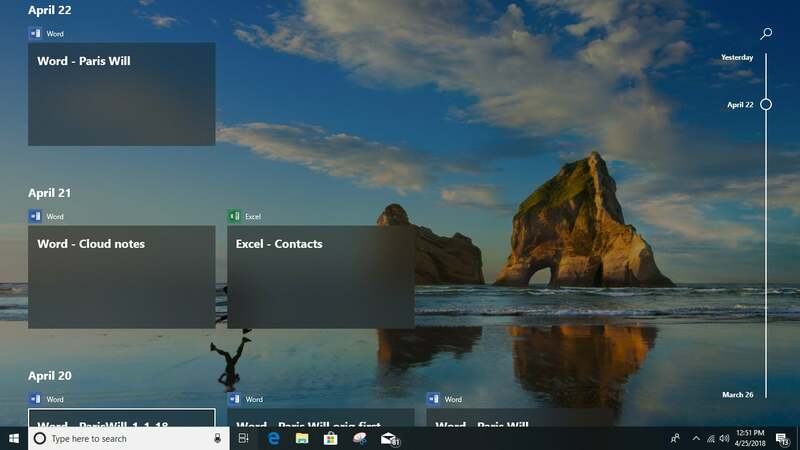 All Apps: Up at the top left of the screen is a “hamburger menu” (three parallel horizontal lines) that when clicked is a toggle for turning on or off a list of all Windows apps and desktop applications, in alphabetical order. (By default, the list is turned on.) Click any to run it. At the very top of the All Apps list is a list of the apps and applications you use most frequently. Right-click any and you’ll see a list of the files you’ve recently opened in it. Click the file to open the application or app, with the file loaded into it. Account: Down toward the bottom left of the screen is a set of stacked icons, starting with an icon for your user account. Click it to sign out of Windows, lock your PC or change your account settings. When you choose to change your account settings, you'll be sent to a screen that lets you change your account picture, your password, and a variety of other settings. 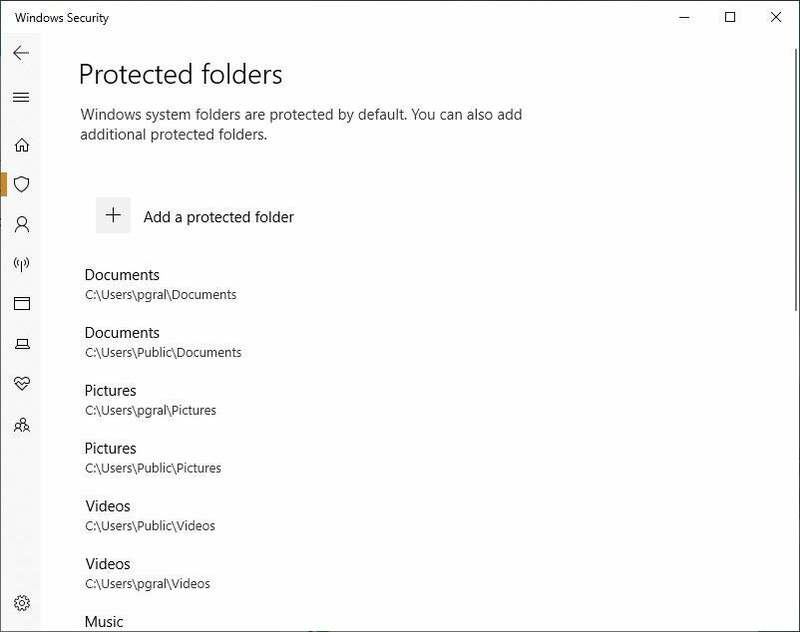 Documents, Pictures, Settings, Power: These icons at the bottom left of the Start menu are no mystery: Documents opens the Documents folder using File Explorer; Pictures opens the Pictures folder using File Explorer; Settings brings you to the Windows Settings app (more on that later); and Power lets you put your PC to sleep, shut it down or restart it. Click any icon to run it. 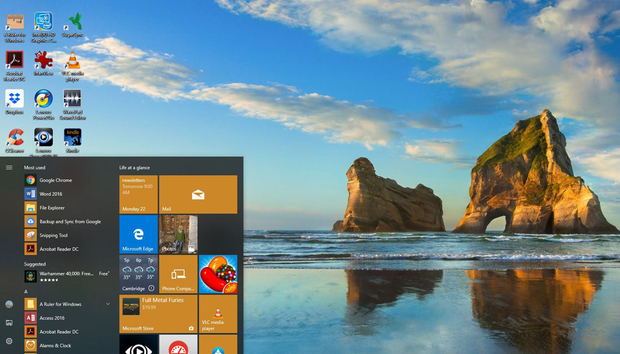 The right side of the Start menu has tiles for Windows apps and desktop applications. They're grouped into two Microsoft-created categories — Life at a glance and Play and explore — and then, if you have more apps than fit in those two, they're grouped into unnamed categories below that. New tiles will be added to the unnamed groups as you install new apps and desktop applications. (Note that if you’re using an enterprise edition of Windows 10, your IT department may have configured other groupings, such as productivity applications or support tools, to appear on the right side of the Start menu.) Click any tile to run the app associated with it. Some tiles are "live" — that is, real-time information gets piped into them. So the Mail tile, for example, shows your latest email, the Weather shows the weather and so on. Only Windows apps have live tiles. Desktop applications, such as Microsoft Office, don't. Each group of tiles is three columns wide, with most tiles taking up one column by default. The Start menu is highly customizable. To change its height, hover your cursor over its top edge until a two-headed arrow appears, then drag it up or down to expand or shrink it. On some Windows 10 installations you can do the same thing at the right edge of the menu to expand it to the right or shrink it back again, although this doesn't work for everybody. To rename a group of tiles, click the group name and type in a new name for it. You can also move tiles around the Start menu by dragging them from one group to another, or, to create a new group, drag tiles to a blank area on the menu. You can name any unnamed group by clicking on the blank area above it and typing in a name. You can also widen the groups in the Start menu so that tiles take up four columns rather than three. To do it, from the Start menu select Settings > Personalization > Start and in the "Show more tiles" setting, move the slider to On. The tiles will now take up four columns, but to take advantage of the extra space you’ll have to manually drag tiles to the fourth column. 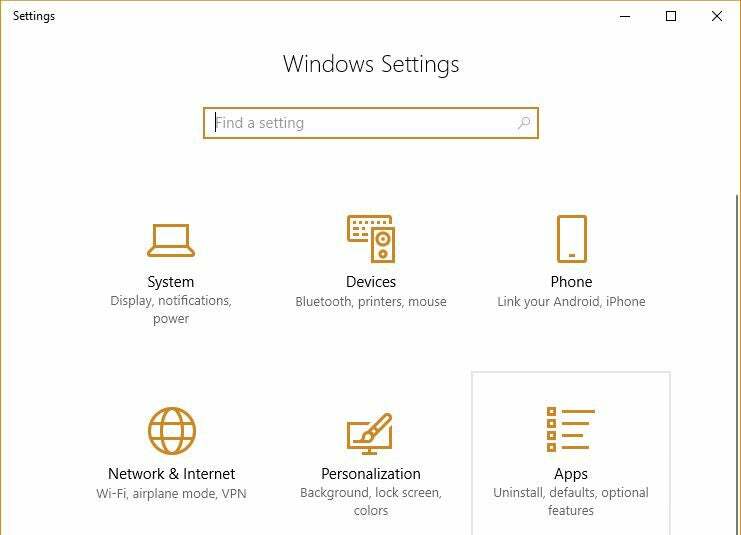 You can personalize many other aspects of the Start menu from this Settings page, including whether to show your most used apps, have the Start screen run full screen and more. Unpin from Start: Select this and the tile vanishes from the Start menu. Resize: As you would expect, this lets you resize the tile. You can choose Small, Medium or Large, and some tiles also have a Wide choice that makes it span two columns in its group. Turn live tile off: This stops real-time information from streaming into the tile. If it's already off, you'll get a Turn live tile on choice. Pin to taskbar: As it says, this pins the app to the taskbar. If it's already pinned, you'll get an Unpin from taskbar choice. Uninstall: This uninstalls the app. Some Windows apps created by Microsoft, such as Weather and Mail, can't be uninstalled. Rate and review: This option is available only for apps downloaded from the Microsoft Store. It brings you to a page that lets you rate the app on a one-to-five-star basis and write a review. The rating and review appear in the app’s description in the Microsoft Store. Share: This lets you share a link to the app using a variety of methods, including email, Twitter and others. Run as an administrator: This lets you run the app or application as an administrator. Open file location: Opens File Explorer to the folder where the application lives. Some Windows apps have other choices as well, depending on their purposes. For example, right-click the This PC app and you get choices such as mapping or unmapping a network drive. Pin to Start: This moves the app from the "Most used" list to the right side of the Start menu. Run as a different user: This lets you run the app as someone other than the person currently logged in. Don't show in this list: Takes the app off the "Most used" list. Windows 10 introduces Microsoft's Siri-like digital assistant Cortana to computers. (It was first introduced on Windows Phones in 2014.) Cortana is a kind of a Jane-of-all-Trades and does everything from searching your computer and the internet for files and information to keeping track of your schedule, alerting you to upcoming events, tracking news and more. 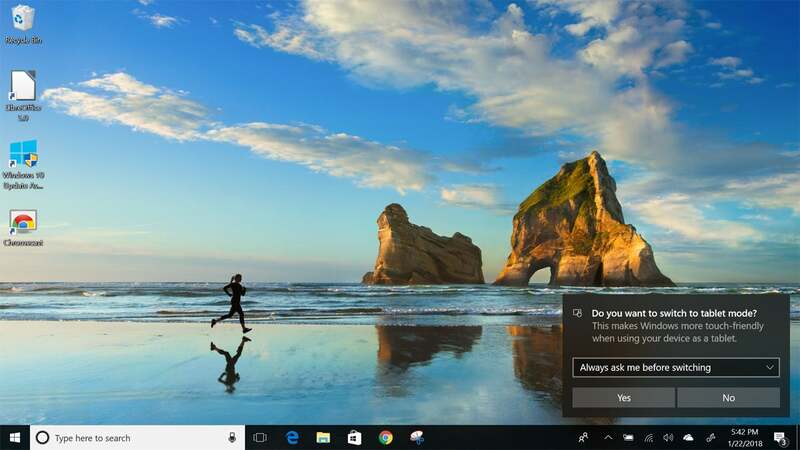 Whenever you have a question you want Cortana to answer or an action you want it to take, type it into the search box in the lower left of your screen, just to the right of the Start button. If you also want Cortana to respond to voice commands, not just typed text, you need to make sure that switch is turned on. To do it, click in the search box, then click the Settings icon (it’s a gear) toward the lower left of the screen that appears. You’ll be sent to Cortana’s settings page. Click “Talk to Cortana” on the left side of the screen, and then in the “Hey Cortana” section, move the switch to On in the “Let Cortana respond to Hey Cortana” section. From now on, you can say, "Hey Cortana" and tell it what you want to do, or else put your cursor in the search box and type in your request. All displays all search results. Apps shows any app-related matches. Documents shows documents on your PC that match the search. Email shows results from your email. Web displays results from the web. More shows results from other places, including individual folders and apps including Music, People, Photos, Settings and Videos. You’ll have to click the down arrow next to More to see them all. Search results are displayed in a flyout panel that appears on the right side of the screen. The panel is essentially a mini-browser with the same information that you’d get if you did a search from inside your browser — photos, links and so on. Getting the most out of Cortana starts with learning how to control it better. To do that, click in the search box and use the menu that appears on the left side of the screen, six icons that appear underneath the "hamburger" menu of three stacked horizontal lines. The six icons are divided into two sections, three at the top just underneath the hamburger menu, and at three the bottom, just above the Start button. The top icon, Home, navigates you to Cortana's main interface — what you see if you put your cursor in the search box. Beneath that is the Notebook icon. Here you can set reminders, create and keep lists, and add what are called “skills” to Cortana, such as controlling your home and its appliances, connecting Cortana to music services such as Spotify, tracking your fitness and more. Below the Notebook icon is the Devices icon. It lets you set up and manage devices that have Cortana built into it, such as speakers. Down toward the bottom of the screen is an icon for signing in and out of your account. Beneath that is the Settings icon, which we used above to ensure that voice activation was turned on. And below that is a Feedback icon that lets you provide feedback about Cortana. It's worth going through all these settings, because part of Cortana’s usefulness is not just answering your questions — it's sending you news, weather and alerts. 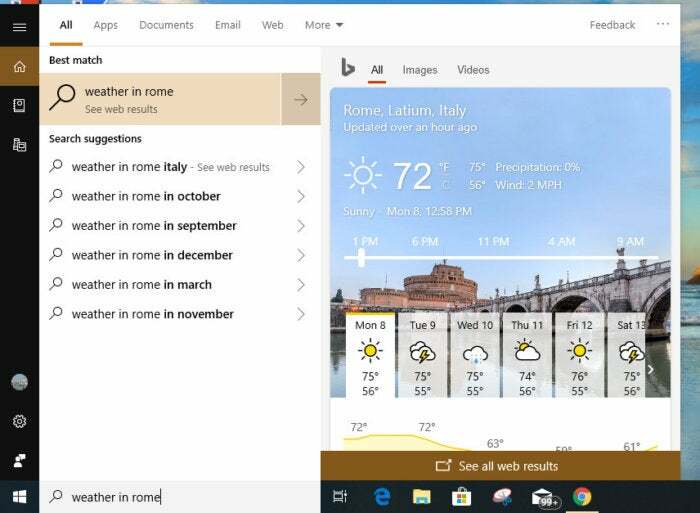 After you customize the settings, when you click the Search box or say "Hey Cortana," it can show you the current weather, news you're interested in, daily events from your calendar and more, depending on what you've told it about your interests. Cortana is tied to your Microsoft ID, so it has the same information about you on all the Windows devices you use, including smartphones. The more you use it on all your devices, the more it learns about you, and the more useful it'll be. But that means that Microsoft knows more about you as well. So when deciding what to tell it about yourself, you'll need to find the right balance between Cortana's usefulness and your privacy. You can also tweak how Cortana appears on-screen. Right-click any empty portion of the taskbar and choose Cortana from the menu that appears. 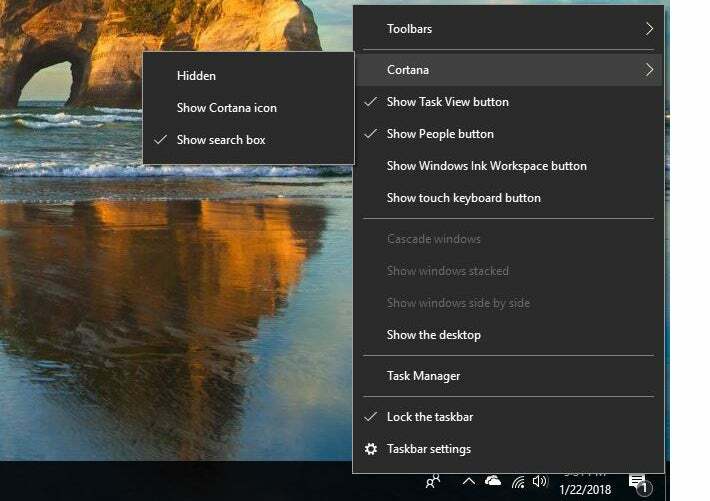 Select "Hidden" to hide the search box, "Show Cortana icon" to show an icon instead of a search box, or "Show search box" to show the search box. If you choose to show the icon, when you click it, the search box and the Cortana window both appear. You can also use Cortana to lock Windows, sign out and shut down or turn off your PC. Say things such as, “Hey, Cortana, lock PC,” and it will do your bidding. You can also do all this from the lock screen, without having to log into Windows. And you can do more with Cortana from the lock screen as well, including making notes to yourself and creating reminders. There’s a surprising amount of intelligence built into Cortana. 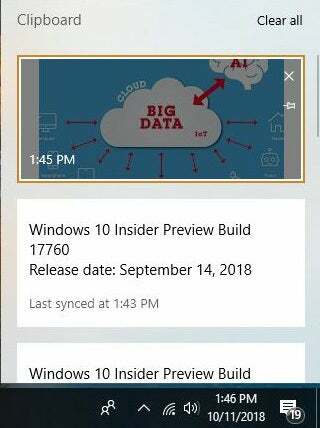 You can, for example, snap a picture of a poster for an event, and Cortana will detect the dates on it and ask if you want to create a reminder to attend it. There’s no documentation for this kind of thing, and behind the scenes Microsoft is continually making Cortana smarter. So your best bet is to experiment and see what new tricks it has up its sleeve. In Windows 8, Windows apps and the desktop didn't get along. Windows apps could only be run from the Start screen, not from the desktop. What's more, they didn't appear in traditional application windows; you could only run them full-screen or side by side with another Windows app (but not a desktop application) so the two apps filled the full screen. That meant you couldn't have multiple Windows apps running in separate windows on the desktop alongside desktop applications. It was just one more way in which Windows 8 felt like two separate operating systems. That's no longer the case in Windows 10. 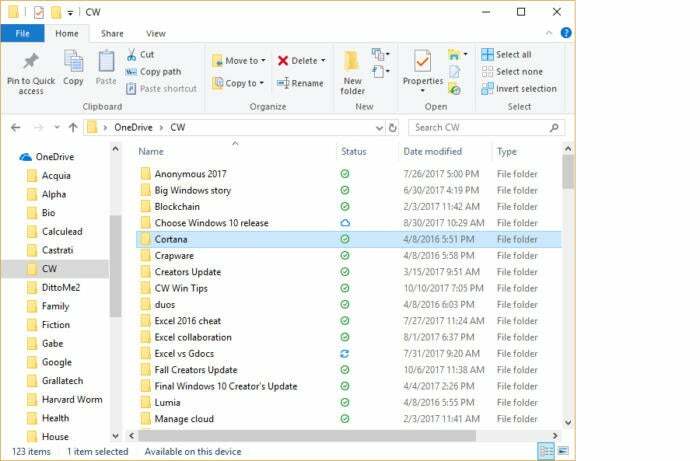 You can resize, minimize and close Windows apps in the same familiar way as desktop applications. Drag the edges of a Windows app to resize it. Use the familiar icons on the upper right of the app window for minimizing, maximizing and closing the app. Windows apps also get a better way to access all of their features. On the left side or bottom of the app window you'll typically see a series of icons for the different features in the app. The icons change depending on the app. For example, the Weather app has icons for news, maps, historical weather in your location and so on. And the Money app has icons for markets, currencies, a mortgage calculator, and so on. Most of the apps show useful information by default, but it's worth investigating the customization options for each app. To customize the News app so it shows exactly the kind of news you're interested in, for instance, click the icon that looks like a star with a row of lines next to it — it's just below the home icon. Once you do that, you'll be able to tell the app your news preferences — Top Stories, US, World, Crime, Technology, Entertainment and so on. You can set up the Mail app not only to work with Microsoft's web-based mail service (currently called Outlook.com), but also with other web-based services, including Gmail. To add an account after you launch Mail, click Accounts, and from the Manage accounts screen that appears, click Add Account. Then select the kind of mail account you want to add (Outlook.com, Google, Exchange, Yahoo, Outlook.com, POP and IMAP mail, and so on) and follow the prompts. For web-based accounts, it's straightforward. For POP and IMAP accounts, you'll need your account information ready, including POP and SMTP server names and passwords. 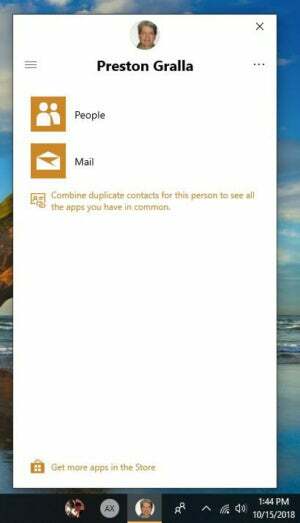 You can also combine mail from multiple accounts into a single, unified inbox. To do it, click Accounts, and from the screen that appears, click “Link inboxes” and combine the accounts you’d like. The Calendar app will connect to your mail accounts automatically and display their calendars. For example, if you set up both an Outlook.com account and a Gmail account in Mail, the calendars associated with them automatically appear in the Calendar app. The Windows Clipboard, introduced more than 30 years ago in Windows 1.0, has always been underpowered and not particularly useful. But with the Windows 10 October 2018 Update, Microsoft finally gave it some serious attention, and it’s now surprisingly useful. The new clipboard does much more than merely hold a single clip at a time so you can paste it into a document, which is what the old one did. Now, it stores multiple clips, lets you preview clips and choose which one you’d like to paste into a document, share clips across Windows 10 devices store clips permanently. You’ll have to switch these new features on. To do it, go to Settings > System > Clipboard. In the “Clipboard history” section, move the slider from Off to On. If you’d like to sync your Clipboard history across multiple Windows 10 devices, move the slider from Off to On in the “Sync across devices” section. To copy an item to the Clipboard, do what you’ve done in the past: Highlight what you want to copy and press Ctrl-C, or else use an application’s menu, such as Insert > Copy in Office applications. There are other ways as well, such as right-clicking an image on the web and selecting Copy Image from the menu that appears. After you’ve copied clips into it, you can scroll through them, preview them, and choose which to paste into a document. To do it, put your cursor in the location in the document where you want the clip placed. Then press the Windows key and V. A small window appears on the lower right of the screen with the clips you’ve pasted to the Clipboard. Scroll through, and when you find the clip you want to paste, click it. If you only want to paste your most recent clip into a document. Just press Ctrl-V as you do in earlier versions of Windows. The clips you save while logged into your Microsoft account are also sent to the cloud and then to the Clipboard of any other devices running the Windows 10 October 2018 Update or later. So they’re always available, no matter which device you’re using. When you turn off your PC, your clips are deleted. But you can save some permanently. To do it, launch the Clipboard, move your cursor over a clip in the list and click the small pin icon. That pins the clip to the Clipboard. It stays there permanently until you unpin it. all pinned clips, the pin icon faces down and to the right. You can also manually clean out your Clipboard by deleting individual clips or by deleting them all at once. Move your cursor over a clip you want to delete and click the small X on its upper right. To delete all your clips, when you open the Clipboard, click Clear all at the top right of the screen. Pinned clips won’t be deleted unless you delete them individually. Keep in mind that the Clipboard has some limitations. It won’t hold any clip over 4MB. You can still copy and paste clips larger than that into documents, but you won’t be able to see and manage them in the Clipboard. And only clips that are 100K or smaller are shared via the cloud with other devices. One of Windows 8's biggest drawbacks was that it forced people with desktop computers to use an interface designed for tablets. 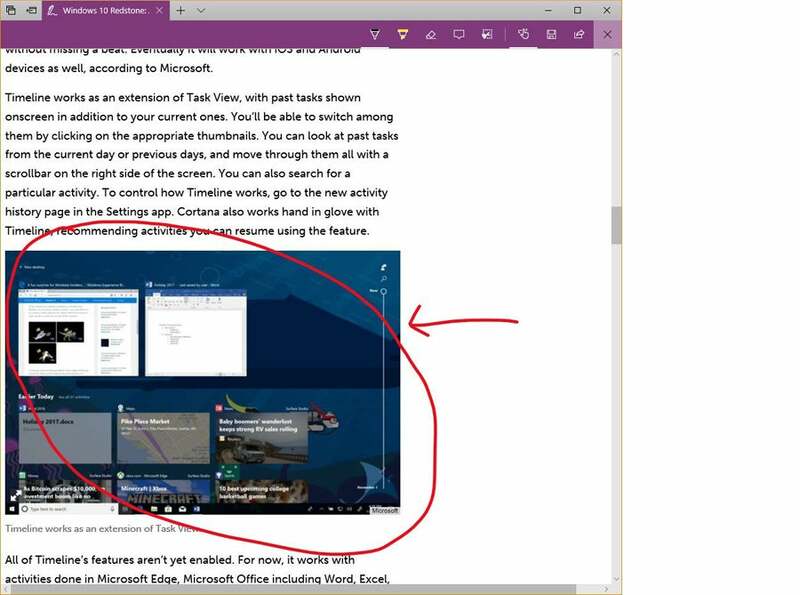 In Windows 10, Microsoft changes that with a feature called Continuum that automatically senses the device you're using and switches Windows 10's interface to match it — the Windows 8-like Start screen for tablets, and the desktop and Start menu for laptops and desktops. Continuum works dynamically. If you're using a tablet with a keyboard attached, such as a Microsoft Surface, it displays the desktop interface, but if you detach the keyboard, it asks if you want to switch to tablet mode, which uses the Start screen interface. Tap "Yes" to switch to tablet mode. Similarly, if you're using a tablet and attach a keyboard to it, a notification appears asking if you want to switch out of tablet mode. If you don't want to be bothered by the notification again, select "Remember my response and don't ask again." From then on, you'll switch automatically from desktop to tablet mode and back again depending on whether you have a keyboard attached to your device. No notification will appear. If for some reason you like those notifications, instead select "Always ask me before switching." You can also manually switch in and out of tablet mode via an icon in the Action Center, which I'll cover in the next section of the story. Tablet mode in Windows 10 works much like Windows 8 used to work, with the usual touch and swiping gestures. 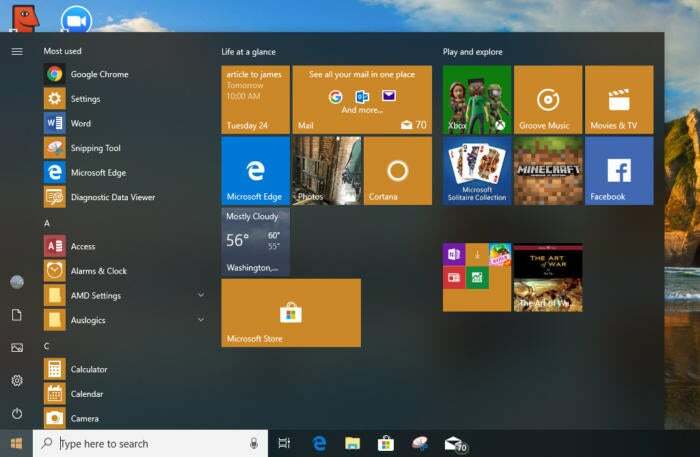 As with Windows 8, there's no desktop but instead the Start screen with groups of tiles that represent your apps — the same tiles grouped in the same way as they are on the desktop's Start menu, except here they take up the full screen. Tap any tile to launch it. 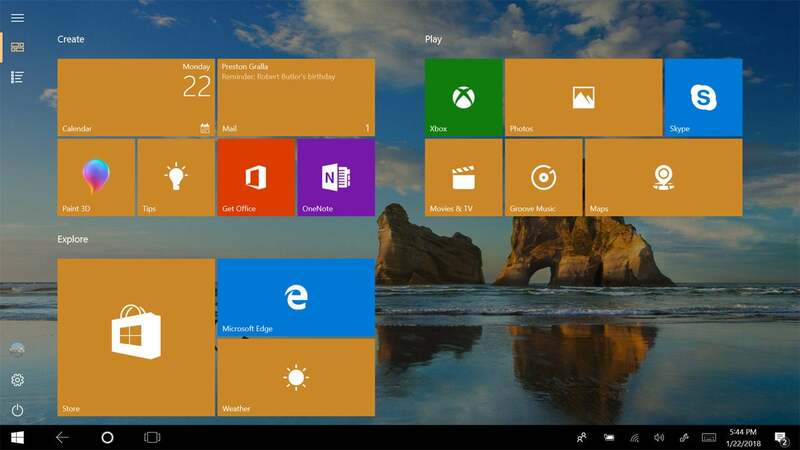 You can scroll through the tiles, but note that they scroll vertically rather than horizontally as they did in Windows 8. There are some other differences between the Start screen in Windows 10's tablet mode and the old Windows 8 Start screen. On the left side of the screen you’ll find six icons, three grouped at the top and three at the bottom. At the top is a hamburger menu, which doesn’t serve much purpose. Tap it, and the left-hand side of the screen turns black, and all six icons get text labels. Tap it again, and the labels and black screen go away. Just beneath the hamburger menu is the pinned tiles icon — tap it to see the Start screen filled with tiles, which is the default tablet interface. Below the pinned tiles icon is the all apps icon. Tap it and instead of seeing pinned tiles, you get a full-screen all apps view that lets you scroll through all of your apps and desktop applications to quickly find one you want. Down toward the bottom of the screen are three icons that will be familiar to those who use the desktop and laptop interface: One for your user account, so you can sign out of Windows, lock your PC, switch to a different user account, or change your account settings; one that gets you to the Settings app; and a power icon that that lets you put your tablet to sleep, shut it down or restart it. Windows 10 has a few other new interface tricks up its sleeve that are worth knowing about. In Windows 8, you got to system settings and other behind-the-scenes tools via an awkward interface called the Charms bar. In Windows 10 it's been replaced by the Action Center, which you may or may not find useful. But you should at least know what it is and how it works so you can make your own decision. Swipe from the right on a touch-based device. Press Windows key + A. The Action Center is designed for double duty: It displays notifications for such things as your news feed, new emails, and security and maintenance messages, and it lets you change a handful of common settings for such tasks as connecting to Wi-Fi networks, switching to and from tablet mode, and changing brightness settings. Notifications first appear on their own on the lower right of the desktop and disappear after a few seconds. You may or may not want to click them right away, which is where the Action Center comes in. After they fade away on the desktop, they live on in the Action Center. Security and system notifications are generally well worth heeding. For example, you may be told that you can speed up your PC by stopping unnecessary programs from launching at startup. Tap the notification and you'll be sent to the Task Manager, which lets you stop them from running. The alerts also tell you when you've got printer woes, issues with Microsoft's OneDrive cloud-based storage or similar problems. So overall, you'll probably find it worth your time to regularly check the Action Center. As for email, you might find those notifications less than useful, because the Action Center doesn't always play well with your mail provider. If you've set up the Windows 10 Mail app to hook into your Gmail account, you will see a notification in the Action Center when that account gets new email. When you click the notification, the Mail app launches and you can read the message there. But the Action Center doesn't take into account whether you've already checked your Gmail account in a browser, so you'll continue to see notifications for messages you've received, even if you've already read them in Gmail and deleted them. That said, there is a way to suppress Mail notifications from the Action Center, which I'll cover below. More useful are the icons for quick actions at the bottom of the Action Center. Just click the icon of the action you want to perform. Most are self-explanatory, such as connecting to a Wi-Fi network or turning Bluetooth on or off. By default, four icons appear in the top row of the quick-actions area. To show icons for all the quick actions available to you in the Action Center, click "Expand" just above the row of quick action icons. All of the remaining quick-action icons will appear. The exact icons that appear depend upon the capabilities of the computer that you're using. On a desktop PC, for example, you might only have eight or so quick-action icons, but on a laptop or tablet there will likely be more icons available for options such as Battery saver, Bluetooth, Airplane mode and so on. To display only a single row of icons when the Action Center is expanded, click Collapse. To change which ones appear in the row, click the "All settings" icon, then go to the System group, click "Notifications & actions" and look at the area at the top of the screen labeled “Quick actions." You’ll see all of the quick icons you have displayed in the Action Center. To add or remove any quick actions, click “Add or remove quick actions” and make your selections. You can also change each icon’s position in the Action Center. Simply drag it to the location where you want it to appear. You can also change which notifications show up in the Action Center, or turn them off completely. Go to Settings > System > Notifications & actions, and to turn off notifications, turn the slider to off in the “Get notifications from apps and other senders” section. Turn the slider to on to get notifications. Then scroll down and select the kinds of notifications you want to see and turn off the ones you don't want to see. You'll be able to choose or hide general types, such as Windows tips or app notifications, or turn off and on notifications from individual apps, including Mail. To do the latter, scroll to the "Get notifications from these senders " section and toggle them On or Off. You can also set priorities for which apps are more important than others and have their notifications show up at the top of your notification lists. Go to Settings > System > Notifications & actions, then scroll down to the "Get notifications from these senders" section and double-click an app. A new screen appears which lets you fine-tune how that app’s notifications are displayed At the bottom of the screen you'll see settings for three levels: Normal, High and Top, with Normal being the lowest priority and Top the highest. Choose the one you want. You can also adjust how many notifications can be visible at any time in the Action Center for any app. The default is three. To change it, from the same screen, click "Number of notifications visible in action center," and select a number from the dropdown list (you can choose one, three, five, 10 or 20). My People is a useful app that lets you pin contacts to the Windows taskbar, and then communicate with them without having to open a separate app. Once that’s done, the contact is pinned to the taskbar. (To unpin a contact, right-click it and select “Unpin from taskbar.”) You’ll now be able to communicate with him or her without having to open a separate app such as Mail or Skype. Just click the icon for the person with whom you want to communicate, and in the contact information page that opens, choose the app you want to use. You’ll be able to get in touch from right inside the contact info page. You can scroll through your history of communications with the contact. You’ll see all messages you two have exchanged in a threaded list. It includes communications such as Skype video chats and instant messages, not just email. My People also has some drag-and-drop features, including changing the order of contacts on the Taskbar by dragging them and sending a file to a contact pinned to the Taskbar by dragging the file to that person's icon. My People lets you pin up to 10 people on the Taskbar. Go to Settings > Personalization > Taskbar, scroll down to the People section and choose the number of contacts you want to show, any number between one and ten. Some people might find another Windows 10 feature useful — Task View and its ability to create multiple desktops. Note that the Task View interface is combined with another feature called Timeline. To activate Task View, click its icon (a large rectangle with two smaller rectangles flanking it) in the taskbar just to the right of the search bar or press Windows key-Tab. When you do so, both Task View and the Timeline feature spring into action on the same screen. For those used to using the old Alt-Tab key combination to cycle through open apps and applications, you can still do that as well, but Task View adds a couple of extra twists. If you hover your mouse over any thumbnail, a small X appears in its upper-right corner. Click the X to close that app or application. Task View also lets you create multiple virtual desktops, each with different Windows apps and desktop applications running on them. To create a new desktop, activate Task View and click "New desktop" at the upper left of the screen. 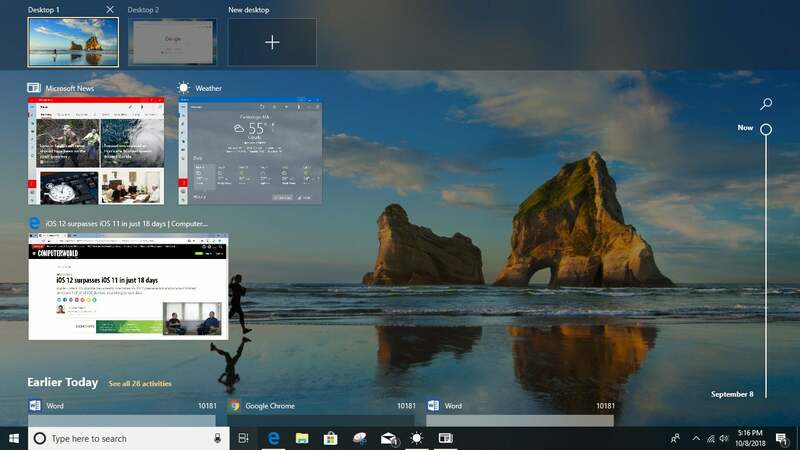 You can run a different set of Windows apps and desktop applications inside the new desktop — for instance, you could dedicate one desktop to work-related apps and applications, and another desktop to entertainment-related apps and applications. To switch between desktops, click the Task View icon and click the desktop to which you want to switch. You can keep creating new desktops this way and switch among them. One odd thing to keep in mind about virtual desktops is that you can't run a Windows app in multiple desktops simultaneously. If it's running in one desktop and you try to launch it in another, you'll immediately zoom to the desktop in which you originally launched it. You can, however, run desktop applications in multiple desktops. To turn on Timeline, go to Settings > Privacy > Activity history and make sure the box is checked next to “Store my activity history on this device.” If you want to have your activities on this device available to other devices associated with your Microsoft account, go down to “Send my activity history to Microsoft” and move the slider to On. Timeline is now turned on not just for your Microsoft account on this device, but on other devices as well. To have activities from other accounts show up on your Timeline, go to the “Show activities from these accounts” section, and check the boxes next to all the accounts whose activities you want to see on Timeline. And if you want to turn off Timeline, in the “Show activities from these accounts” section, set the slider to off for all your accounts. You get to Timeline the same way you get to Windows 10’s Task View, as outlined above. Once you’re there, you’ll see a list of your activities day by day over the last week, including websites you’ve visited and files you’ve opened. By default, Timeline only shows you seven days of your history. To show 30 days, scroll to the bottom of Timeline and select “Turn on.” When you do that, you’ll now see your history over the last 30 days. Scroll through the tiles using a mouse, arrow keys, or the slider on the right-hand side of the screen. You can search through them by clicking the search icon at the top of the screen. But that only searches through titles and file names, not the contents of the documents you’ve opened — so if you’ve worked on a Word document in the last 30 days and it had the word “market share” in the body of the document but not in its title, a Timeline search won’t turn up the document. Click a tile to open it. In the case of an application, like Word, the application will launch with the file open in it. In the case of a website, the site launches in Microsoft Edge. When you open a file, it shows the latest version of the file, not the state it was in on that day on the Timeline. For websites, you’ll see its current state, not state of the site at the time you visited it. Keep in mind, though, that Timeline has some shortcomings. It currently tracks only Microsoft applications, including all Office applications and Microsoft Edge. But non-Microsoft apps may not be left out forever; their developers can add support for Timeline. With Windows 10, Microsoft finally bids goodbye to Internet Explorer — almost. You'll still find it, but it's no longer the default browser, and development work has essentially stopped on it. The browser of today and tomorrow is Edge. Edge is a considerable improvement over Internet Explorer. It's faster, cleaner-looking and downright Chrome-like in its stripped-down design. It's generally intuitive to use. The upper left has arrows for going forward, back and reloading a page. Type URLs in the address bar or use the address bar as a search box by typing in search terms. Directly to the right of the address bar you'll find an icon of a book, which launches one of Edge's most useful features: Reading View. Like similar features in Safari and Firefox, it strips out everything extraneous to a page's content, including ads, navigation, sidebars and anything else that diverts attention from the content. Text and graphics appear in a scrollable window. Its icon will be grayed out if you're on a page that Reading View can't handle, such as a page that is primarily used for navigation. Edge has another new feature that you may or may not find as helpful as Reading View: the ability to annotate and share web pages. With it, you can mark up a page using highlighters and note-creation tools, save the annotated page and share it as a JPG graphic file via email, OneNote or Twitter. Click the annotation icon in the upper right of the browser window — it looks like a pencil and paper — and the annotation tools appear. When you're done annotating, click the Share icon, just to the left of the Exit button on the top right of the screen. Then select how you want to share the annotation, and follow the instructions. When you want to exit annotation mode, press the Esc key or click Exit. One of Edge's more useful features is its behind-the-scenes integration with Cortana. When you browse to a page for which Cortana can offer help, a Cortana icon appears at the top of the page, along with a note, such as "I've got directions, hours, and more" if you're on a restaurant page. Click the icon and a sidebar appears on the right side of the page with additional information — for example, a map, address, phone number and reviews for a restaurant, in addition to links for getting directions, viewing the menu and calling the restaurant. Microsoft hasn't completely given up on Internet Explorer, because some enterprises have standardized on it, and some enterprise apps require that browser to work properly. So there's a way to launch Internet Explorer when you're visiting a web page. Click the icon with three dots on the upper right of the screen, and from the menu that appears, select "Open with Internet Explorer." Internet Explorer will launch with the current page in it. As for the rest of Edge, it's straightforward to use. 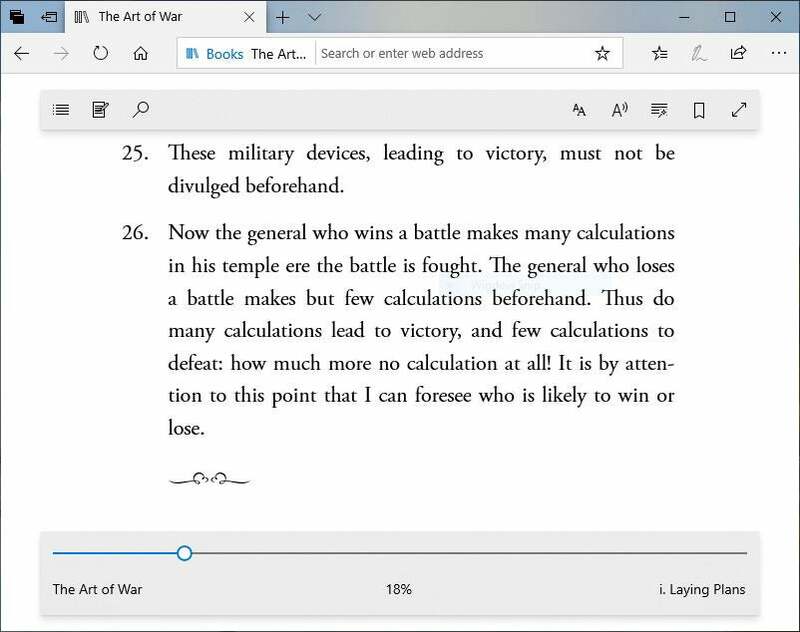 To get to your history, favorites, downloads, and e-books, click the icon of a star with three horizontal lines just to the left of the annotation icon. (It’s called the Hub.) To share the current page's URL, click the icon of a right-facing arrow just to the right of the annotation icon. And for more menu choices, including zooming in and out, finding text on a page, changing settings, and more, click the three-dot icon. When Windows 10 was released, Edge didn’t support add-ins and extensions as Chrome and Firefox do, a serious drawback. However, with the Windows 10 Anniversary Update, released in August of 2016, Edge finally got extension support. That’s the good news. The bad news is that the support is quite weak — as of early May 2018, nearly two years after Edge first got extensions, there were only about 100 of them, compared to many thousands for Chrome and Firefox. Still, at least they’re there, and it’s easy to take advantage of them. To do it, when you're in Edge, click the three-dot icon at the top right of the screen. From the menu that appears, choose Extensions > Explore more extensions. You'll see icons for each extension available. Click any icon for more details, then click the button that says “Get” to download it. After the download, click the "Turn it on" button that pops up to enable the extension. To customize how an extension works or uninstall it, click Edge’s menu button and choose Extensions. You’ll see a list of all of your extensions. Hover your mouse over the extension you want to customize or uninstall, then click the gear icon that appears next to the extension. From the screen you get to, choose your customization option, or click Uninstall to uninstall it. Edge, by default, disables Adobe Flash to improve security and performance. However, if you’d like, you can run it on a site-by-site basis. When you visit a site that has Flash, you’ll see an icon of a puzzle piece with the words “Select for Adobe Flash” on any Flash element. Click it if you want to run it, and from the popup that appears, click “Allow once.” You’ll have to do that every time you visit the site if you want to run Flash on it. Edge has a variety of tab-handling features. To see a thumbnail of every open tab, click a down arrow to the right of the Add Tab button at the top of the screen. That lets you quickly scan all the currently open sites. Click the thumbnail of the tab you want to switch to, and you get sent immediately to that tab. Should you decide to close all your open tabs, but think you might want to revisit them later, click a button to their left at the top of the screen that shows a window with a left-facing arrow on it. That puts them aside as a group. When you want to open the group again, click a button to the left of that one, and they all open. You can recall the tab group even after you've closed Edge — in fact, even after you've logged out of Windows. What makes this feature even more useful is that you can do this to multiple groups of tabs. So, for example, you might want to create a group of museum sites, another for medical sites, and so on. After you create the groups, you can revisit them later, even after you’ve closed a browsing session. You can also read books and other content in ePub and PDF formats from right inside Edge. The built-in e-reader gives you the usual e-reading features, such as the ability to continue reading where you had previously left off, change text size and so on. It will also read text aloud. To use it, click the icon of a star with three horizontal lines just to the right of the address bar, and from the screen that drops down, click the icon of three books. Then click the Books button, and from the screen that appears, click Start reading, which brings you to the Books section of the Microsoft Store. Buy a book, and to read it, come back to the e-reader, as I just described. The top of the page will have a variety of icons for searching, reading aloud and so on. It’s all self-explanatory and easy to do. Note that if you download e-books in ePub format, or PDFs, you can read them from here as well. Microsoft includes its OneDrive cloud-storage service along with Windows 10. After you upgrade to Windows 10 or run it for the first time on a new machine, you'll get a notification that it's available. Click the notification to begin the setup process. If you don't want to use OneDrive, dismiss the notification. If you later want to set it up, look for the OneDrive icon on the taskbar and click it. If you don't see the icon, type "OneDrive" into Cortana's search box and you'll be able to set it up. Before using OneDrive, you should know the lay of the land. OneDrive lives in the cloud, but you can choose to sync its files and folders to your local PC. 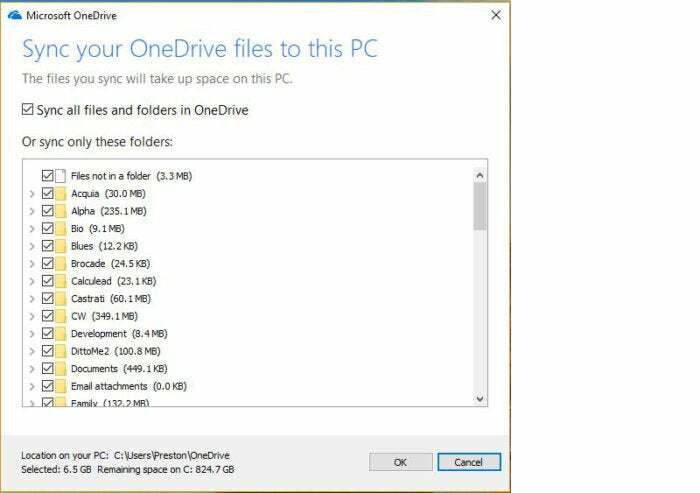 So you'll have a choice to sync all of your existing OneDrive files and folders to your Windows 10 PC, or just some of them. Syncing happens automatically, without you having to do anything. In Windows 10, you get to your OneDrive via File Explorer. By default, this shows you OneDrive files and folders that live on your PC — those that you've chosen to sync. If you instead want to see OneDrive in the cloud, go to www.onedrive.com. Alternatively, OneDrive Files On-Demand lets you see and access all your OneDrive files, even those stored in the cloud, from File Explorer. I’ll explain how to use that feature below. With all that in mind, let's go back to setup. When you first set up OneDrive, you'll be asked whether you want to sync your entire cloud-based OneDrive to your local PC, or only individual folders. If you choose individual folders, you'll be able to pick and choose which to sync. 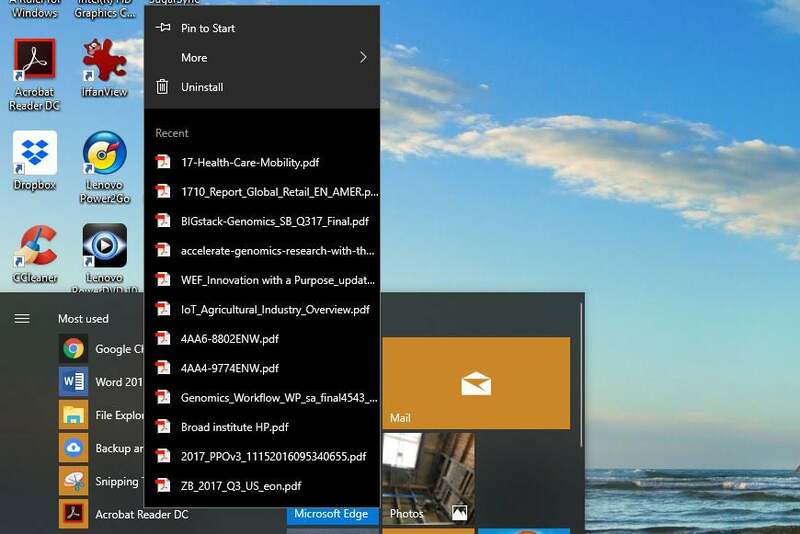 Launch OneDrive by double-clicking its icon (it looks like clouds) on the right side of the taskbar, or else by opening File Explorer and navigating to it. Right-click a file or folder and select "Choose OneDrive folders to sync." Right-click the OneDrive icon in the taskbar, select Settings, go to the Account tab, and click "Choose folders." Either way, a screen appears. If you want to sync all folders, check the box next to "Make all files available." If you instead want to sync only some of them, uncheck that box, then check the boxes of those folders you want to sync and uncheck the boxes of those you don't want to sync. A word of advice about using OneDrive: I suggest that if you're going to use it as your primary local and cloud storage that you rethink your folder structure. Over the years, Microsoft has nudged or pushed you into using various folder structures, such as organizing everything in Documents, or in Libraries. That's problematic with OneDrive, because if you do that, you won't be able to easily sync them with OneDrive. So if you become serious about OneDrive, I recommend organizing everything under your OneDrive folder. That way, when you create new files and folders on your PC, they'll automatically sync up to the cloud. OneDrive Files On-Demand is great for people who have multiple PCs and laptops, because it gives you access to all of your OneDrive files on every device, without having to download them first. Turning on One Drive Files On-Demand makes it easier to save space on local hard drives while still giving you access to all the files you need. That way you can buy a less expensive laptop with less storage than you would normally need, because it’s easy to access all of your OneDrive files, even with a modest amount of local storage. When you do that, you’ll see all of the files you have stored in OneDrive, whether they’re on your PC or not. Icons next to each file or folder indicate whether it is stored only on the web (the cloud icon) or on your PC as well (the checked circle icon). If you double-click a file in File Explorer that’s on your PC or in both locations, you open it from your PC. If you double-click one that’s only online, it gets downloaded to your PC, and you work on it locally. From that point on, it’s available on both your PC and OneDrive and syncs to both. You can easily change the status of any file or folder from local to cloud storage or vice versa. To do it, right-click the file or folder. Then select “Always keep on this device” if you want to download the file or folder to your PC, or select “Free up space” if you want to remove it from your PC to get more storage space but still keep it in OneDrive on the web. This works in applications as well as in File Explorer. So files from OneDrive on the web show up in Microsoft Office, and when you open them, they get downloaded for use on your PC. 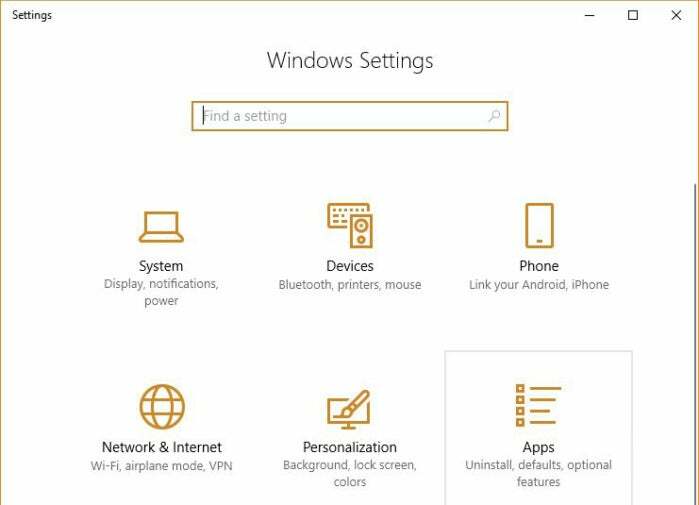 In Windows 8, when you wanted to change your settings, you had to look in multiple places and hope you found what you wanted. Windows 10 makes your life easier. Most settings, and particularly the most important ones, are found in the Settings app. Get to it by clicking the Start button, then clicking Settings. You can also get to it from the Action Center by clicking the "All settings" quick action icon. The Settings app has 13 sections: System, Devices, Phone, Network & Internet, Personalization, Apps, Accounts, Time & Language, Gaming, Ease of Access, Cortana, Privacy and Update & Security. It's straightforward to use: Click on an icon and navigate to what you need. If you want to get to a specific setting fast, type into the app's search bar, then click a setting that matches your search — for instance, to turn autocorrect off or on, you can type "autocorrect" in the search bar, select "Autocorrect misspelled words" and drag the toggle switch to the setting you want. That's not to say that you'll find everything in the Settings app. If you're looking for something that only a tinkerer might want to change, you might find it instead in Control Panel. So, for example, if you want to assign your PC a static IP address, have your system display files that are normally hidden or access similar techie settings, Control Panel is the place to go. You can get there by typing "control panel" in the Settings app's search bar and selecting Control Panel. Here you can navigate through the groups or search for your task; for instance, typing "hidden" in the Control Panel's search bar turns up "File Explorer Options: Show hidden files and folders." In Windows 10, all of your most important security settings are found in a single location, Windows Security. Get to it by going to Settings > Update & Security > Windows Security. From here you can change all your important security settings. You likely won’t need to do that, though, because the default Windows settings are solid. However, if you’re looking for advanced customization options, such as letting apps through the built-in firewall (get to this setting from the “Firewall & network protection” section), here’s where to go. And if you’re worried about ransomware, you can turn on an anti-ransomware capability called Controlled Folder Access, in which only approved apps can get access to Windows system files and data folders. To turn it on, in Windows Security select “Virus & threat protection.” Scroll down to the “Ransomware protection” setting and click “Manage ransomware protection.” At the top of the screen that appears, you’ll see the “Controlled folder access” section. Move its slider to on. If you instead want to add an app that can access the folders, click “Allow an app through Controlled folder access,” then click “Add an allowed app.” When you do that, you have two choices: “Recently blocked apps” or “Browse all apps.” Click “Recently blocked apps” if Controlled Folder Access has blocked an app you want to let through. You’ll see a list of apps. Select the ones you want to allow through. If you want to add an app that hasn’t been recently blocked, click “Browse all apps.” You’ll have to know the location of the executable file that runs the app. Navigate to the file, select it, and it will be allowed through. Windows 10 supports a variety of keyboard shortcuts as well as gestures for touch-based devices. Try them out a few times, and before long they'll become second nature. Next up are the most useful keyboard shortcuts — get to know these and you'll save oodles of time as you zip around Windows 10 without taking your hands off the keys. * The Pause key is located to the upper right of most keyboards; however, some portable and laptop keyboards don't have a Pause key. Finally, if you're working on a tablet or a touchscreen PC, here's how to get around. This article was originally published in December 2015 and was most recently updated in October 2018. « Does the new iPad Pro have a bending problem?